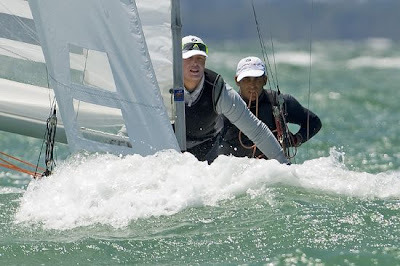 Hamish Pepper and Carl Williams are lying 4th overall at the 2008 Star World Championship with just one race remaining. 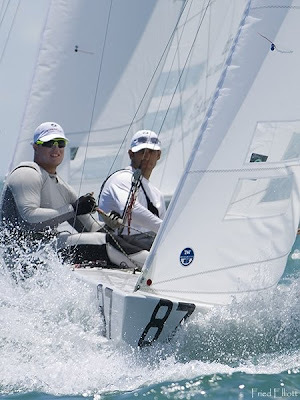 After finishing 15th in race five just sailed in Miami, the pair has leapt from 18th overall up to 4th aided by the introduction of the discard. It was another trying day for competitors and officials alike with a number of consecutive postponements in an attempt to start race five due to a shifting breeze at the scheduled midday start time. 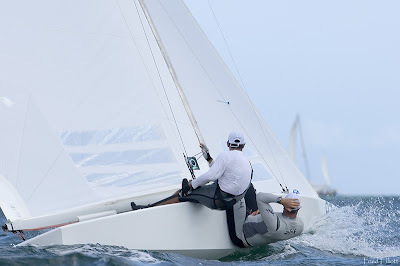 In a building breeze the one race of the day finally kicked off at around 1:30pm on Biscayne Bay. Pepper and Williams are within reach of a podium place sitting just three points adrift of Robert Sheidt and Bruno Prada lying 3rd. However, points on the leader board are tight behind Pepper and Williams with a further three crews not too far behind. The overall leaders going into the final day are Mateusz Kusznierewicz and Dominik Zycki who have a comfortable eight point buffer over second place. They were 4th in race five and now have a total of nine points; a good race tomorrow could seal the world title for the pair from Poland. 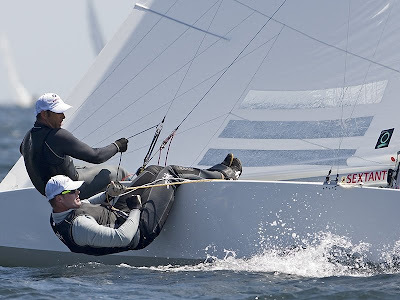 The final race in this Star Class Championship will include the entire 104 boat fleet rather than be sailed as a top ten only medal race introduced for this year’s Olympic Games and adopted by many of the other Olympic classes. The Stars however, have stayed with class tradition where the final race of the regatta is just the same as the five before it. 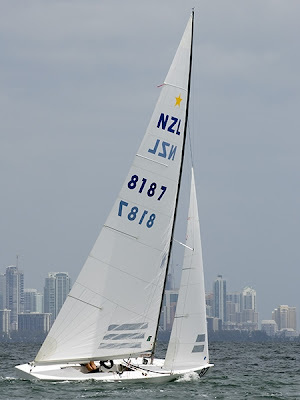 The final deciding race of the regatta is set for midday Thursday in Miami (Friday 4am New Zealand time). 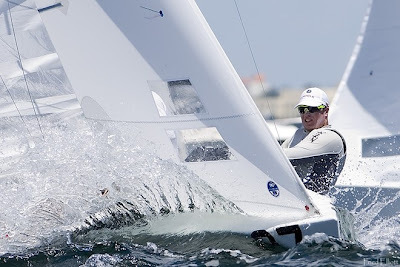 Hamish Pepper and Carl Williams have added another good result to their scorecard, finishing 2nd in this morning’s race at the 2008 Star World Championship in Miami. 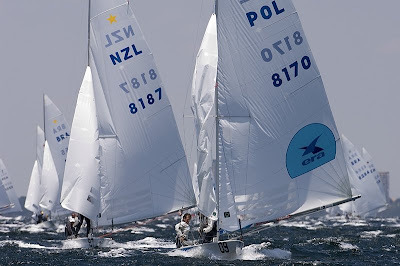 The kiwis are now in 18th place overall after four races with the discard likely to affect overall placings after the next race. 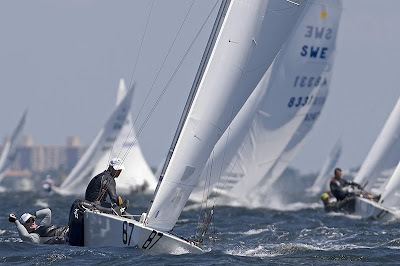 Two more races are scheduled to be sailed over the next two days to decide the 2008 Star World Champion. 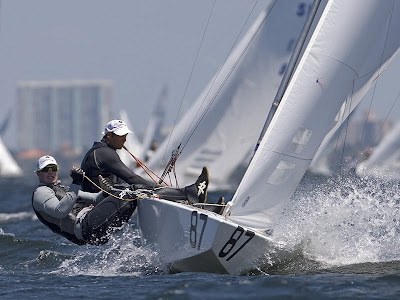 Race four of the regatta got underway on Biscayne Bay, Miami just prior to 1 o’clock after one prior general recall. 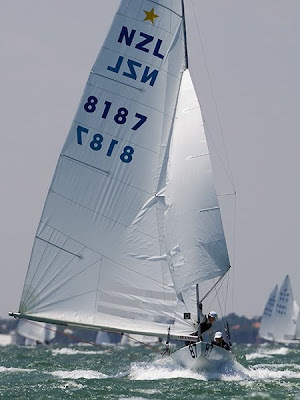 The breeze was northerly offshore and built to 20-30 knots for race four. “Today the order of the day was Breeeeeezze! 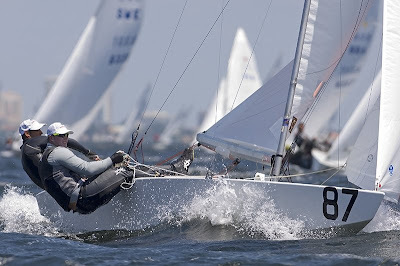 And as it was blowing offshore it was always going to be EXTREMELY shifty,” said Carl Williams after racing. “It’s always hard on a really windy day in big regattas like this because everyday you have to push hard and sail at your absolute limit. Pepper and Williams were third to the first mark in the enormous 104 boat fleet and then improved on that passing O’Leary and Milne of Ireland and climbing into second place. 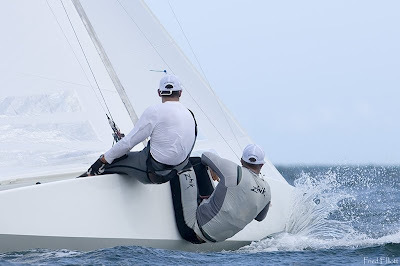 “We started at the committee boat and tacked out to the right straight away. At this stage all the sails were doing is ragging!” said Williams. “But despite the fact that we had flags for sails we picked up the first shift of the beat and were able to get some leverage on the fleet. Their gap on the chasing pack diminished on the final leg and it was all on between a handful of boats to cross the line. 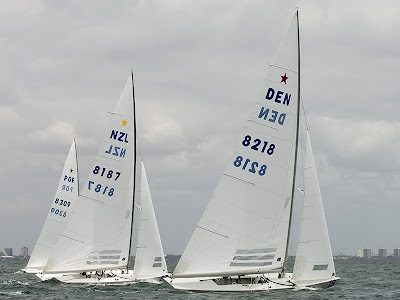 “BRA, FRA, SWE had closed right up and while the POL were defending us in a match race style the BRA and FRA took a flyer out to the left. Hamish and l focused on pinning our ears back and sailing as fast as possible. They held onto cross the line in second place behind Scheidt and Prada of Brazil. Negri and Viale of Italy currently hold the lead in the Championship going into the penultimate day of competition, with Kusznierewicz and Zycki (POL) and Loof and Ekstrom (SWE) on equal points behind them. Competitors can exclude their worst score when more than four races are completed which means the line-up is likely to see some changes after the next race is on the board. Provided Pepper and Williams perform well in race five this will see them climb up the standings, as they’re still carrying a blag flag from race two. “There are two races left and after tomorrow we get to drop the BFD/105 result putting us right back up there!! Looking forward to it as these World Champs are shaping up for a pretty awesome battle at the top!” said Williams. Racing continues tomorrow with two more races remaining in the Championship which concludes in Miami on Thursday afternoon (early Friday morning New Zealand time). 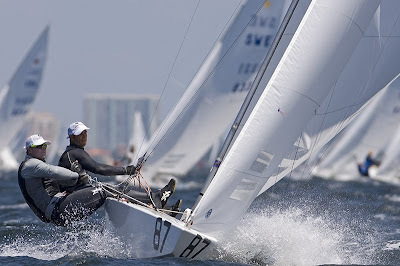 Hamish Pepper and Carl Williams have had a mixed start to the 2008 Star World Championship in Miami and sit in 32nd place due to a black flag in race two. 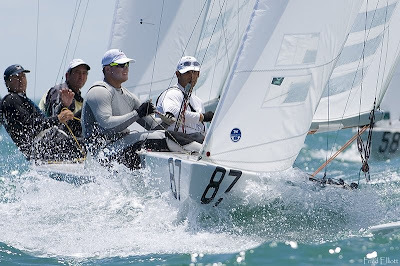 Now at the mid-way point in the six race series the kiwis have just recorded their best result with a 3rd in race three which has just concluded on Biscayne Bay. If Pepper and Williams sail well in race four they are likely to climb up the standings as the one discard allowed for the series comes into effect following the next race. 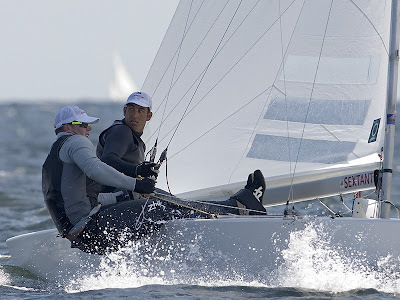 Miami produced a 7-15 knot sea breeze for racing on day three and Pepper and Williams came off the line well and held their position to finish 3rd in the one race of the day. “After Pepsi [Pepper] launched us off the line with a great start just down from the Committee Boat we were able to get straight into phase with the shifts and had clear lanes for the whole race - which makes it so much easier!” said Williams after the race. 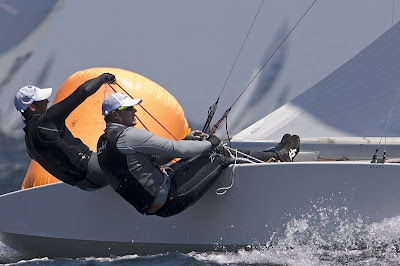 “It was a battle of the Gold Stars [previous Star World champions] today with us, Rohart (FRA) and Scheidt (BRA) fighting it out the whole way around for the win. These guys finished on the podium with us at 2006 Worlds, 2006 North Americans, 2007 Pre Olympics so it was familiar battle grounds again today. Carl Williams describes how the pair was one of 25 boats black flagged on day two: “The Race Committee were very keen to get the racing underway so the third attempt to start the race was signalled with the dreaded Black Flag in order to calm the fleet down. “We were positioned at the middle of the line and with 30 seconds to go it was obvious that we were close so we decided to sacrifice the start and bear away to avoid being over, but what this does is place you under other boats not being so cautious. The gun went and the race was under way with the Race Committee signalling some boats had been seen over (Individual Recall). 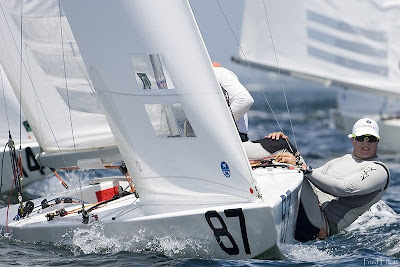 “As we rounded the top mark and started the reach to the offset buoy the white board displaying the black flagged boats had a big 87 (our bow #) in the top right corner, a quick check that yes our bow # is 87 and we sailed off the course to head home. We were one of 25 other boats Black flagged, and in that a lot of the real top contenders which was really the only consolation. A rest day is scheduled for tomorrow with another three races remaining. 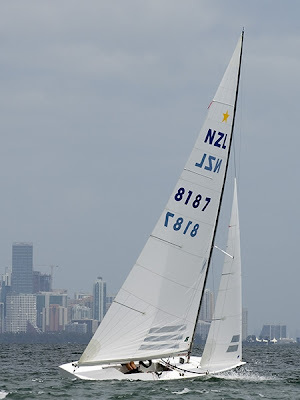 The regatta concludes on Miami on Thursday afternoon (early Friday morning New Zealand time). 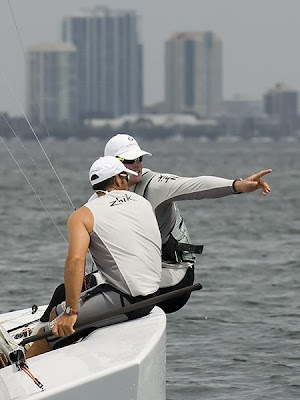 New Zealanders Hamish Pepper and Carl Williams will be amongst 104 two-handed teams competing in the 2008 Star World Championships set to start in Miami less than 24 hours from now, on Friday around midday local time (4am, Saturday New Zealand time). 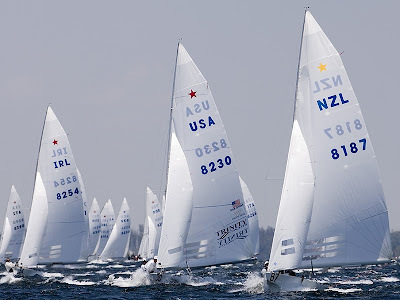 All but one of the top twenty ranked Star sailors are in Miami to compete for the prestigious crown of Star World Champion, a title which dates back to 1923. The only Kiwi pair in the line-up, Pepper and Williams have held the title once before, in 2006, and are among the top contenders competing in 2008. 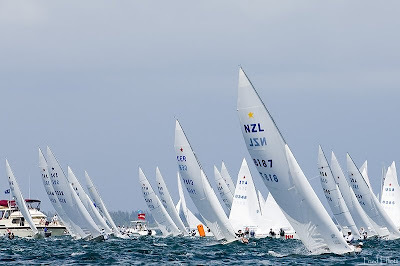 A day out from the start of competition proper, the fleet were on the water for a practice race on a warm, sunny and calm Miami day with around 10 knots of wind. Carl Williams explains that the eagerness of the enormous fleet made things interesting for officials trying to start the practice race. “It has to be the longest start line I have ever seen in my life!” said Williams. “But that didn't hinder everyone’s eagerness to get over it, so after five attempts at getting a start and having five general recalls Pepsi [Pepper] and I decided that the day was long enough at that and headed in. 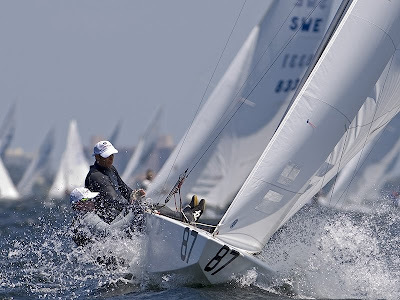 The regatta lasts seven days including a reserve day in the middle and just one race is scheduled to be sailed each day allowing for a total of six races. After four races each team is allowed to discard their worst result from their points total. 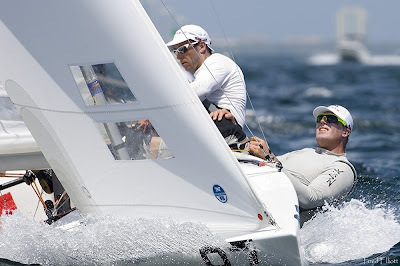 The format for this regatta is one that follows the tradition for the Star class, and is quite different from what Pepper and Williams will encounter in Qingdao, China just four months from now when eleven races are planned over six days. In China a double-points medal race at the conclusion will make for a high pressure finale, whereas in Miami, less total races all of equal weighting means the pressure to perform is on from day one. The race course is on Biscayne Bay around three nautical miles from the Coral Reef Yacht Club which is hosting the event.